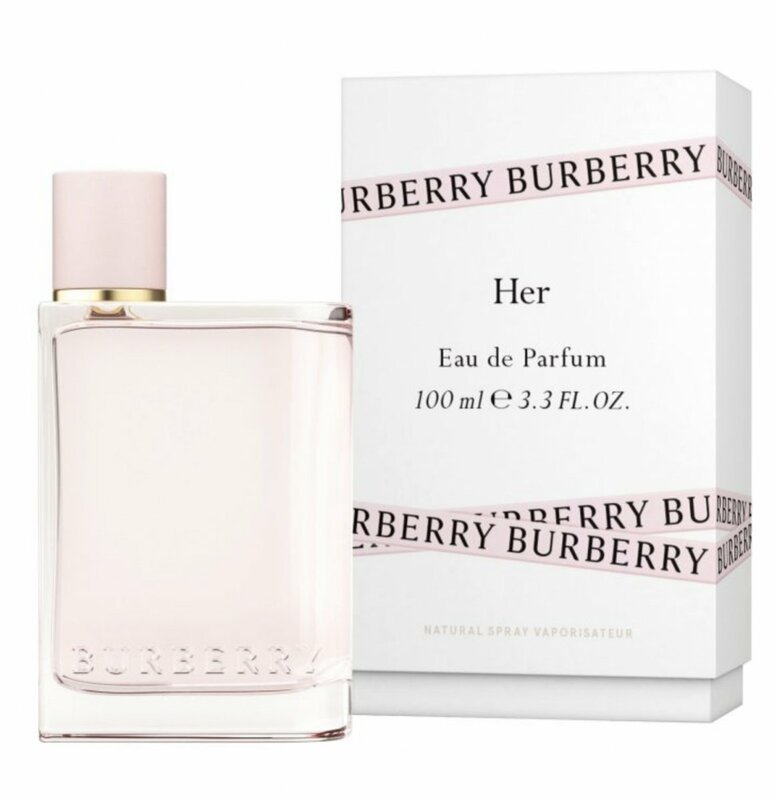 Her is a new perfume by Burberry for women and was released in 2018. The scent is sweet-fruity. It is being marketed by Coty. The face of the advertising campaign is British model Cara Delevingne. 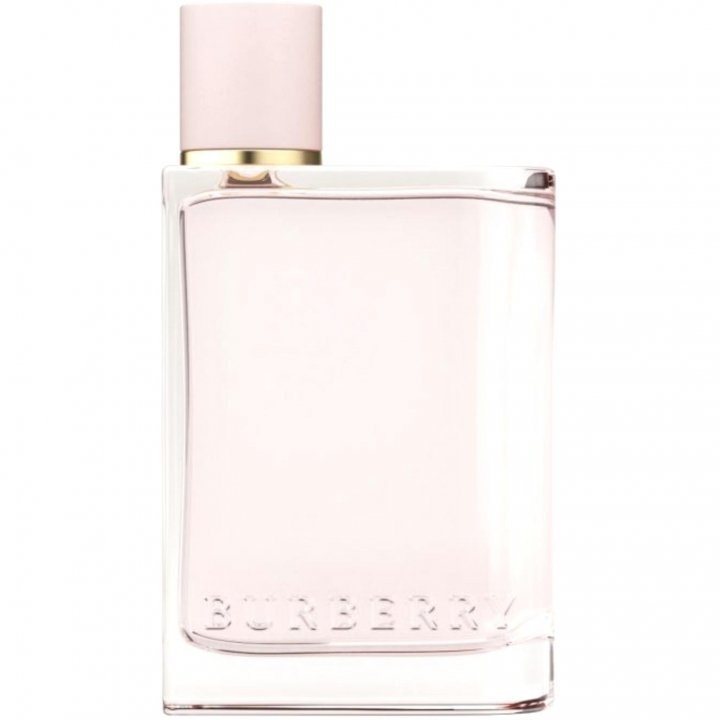 Ever since this new Burberry was launched, it's been splitting minds here at Parfumo. Most people find him terrible, a few like him very much. One goes so it hardly seems to exist with this smell. Well, I'm one of the few fans here. But I don't really like red berries in fragrances. When I bought it, I didn't even like sweet things very much. And yet he made it into my collection. Yeah, he smells a little like those foamy strawberries at first. But Burberry Her also smells of more than just Haribo strawberries. Some green, bitter-powdery note blends in with the artificial strawberry note. It's not a guy. Violet, jasmine. Possible blackberry? Or blueberry? I didn't really like him at the first test. But still he smelled interesting enough to test it again. So after about 15 min. the scent becomes more flowery, the strawberries I still smell, whereby it reminds me now rather of ice cream. Berry sorbet more precisely, without milk or cream. There's something floral next to the sundae. Here this Burberry gets that cool floral note that the brand's fragrances usually have for me. However, it is restrained in the silage, which is usually not the case with the somewhat older Burberry. They're gonna bang into it. Not this one, he's about as gentle as Brit Floral. Also the musk in the base is there, but not animal or unpleasant. I smell amber stronger, but it's a cool amber, not animal or sweet. "Burberry is such a big part of British style. It is like the flag of England," said Riccardo Tisci. So read in the "Guardian"... a few weeks ago. Riccardo Tisci, this is the new guy at Burberry. The Italian, who previously worked for Givenchy, is expected to make the brand even more successful than it already is. And in December 2018 the "grande dame" of English designers, Vivienne Westwood, will also launch a collection for Burberry. It is a pity that Westwood does not also take care of the company's fragrances. They're made by Coty. The chemical giant has bought many fashion labels in recent years and also has the money to hire a top perfumer to work on a new bestseller. "Her" is a creation of Francis Kurdjian...- of course the expectations are higher than with a rather unknown Maitre. Kurdjian himself self-confidently declares to his new fragrance that it smells "unique" and has a very high recognition value. I have to agree with him. Obviously he started from the second part of the company name - "berry" - and looked for a suitable, berry, synthetic equivalent for the top note, which most testers interpret as strawberry. I think it's rather a highly experimental berry pop-MIx, because artificial raspberries, blackberries and berries in general and universally - berries rule- shine through as well. England, land of the berries. So far, so weird... - so far, so weird. A surprising sturgeon chord follows, a diffuse, slightly green note. This Vibe reminds me of the fragrance "Florabotanica" by Balenciaga. Other testers (on Fragrantica) speak of oak moss or ambroxan - I would guess a mixture of both (Coty has a new aromachemical that replaces natural oak moss). The mixture of berries and woody-mossy tones sounds good in theory; in practice I unfortunately don't like this fragrance at all. Too sweet and sobering synthetic. But this is - as always - only my personal taste. If you enjoy a fruity-sour start and a modern fragrance that does not smell completely like fruity-floral fruit salad, you should try "Her". It remains to be mentioned, however, that the brand is very concerned about its image and to protect it (and above all to keep prices high) only a few months ago cosmetics and perfumes worth 28.6 million Brits. Pound had it destroyed. Exterminate = burn. Finished, new, unused and produced using many raw materials and manpower for 28.6 million. "Burberry is such a big part of Bristish style." And what scent does Theresa May wear? I was just sniffing several fragrances indecisively when I heard this comment from a young customer about her girlfriend. Curiously, I went to the pink display the customer was talking about. And so I stood before "Burberry" for the first time. I probably never would have tested that scent on my own. The bottle doesn't appeal to me. London's all right with me. But then my curiosity was aroused. So - zap - a spray on the tester and: WOW! The sweet, fruity top notes just beat me to death! In the foreground plays a super ripe strawberry, intense and synthetic. That can only be intentional. - Or is it? For me, the opening of this perfume makes "Burberry Her" a gourmand fragrance! Super tasty and easy to put in! The - admittedly - very ripe, very sweet fruits appear light, yet very present and kitschy playful. In the first moment for me rather a fragrance for the spring and summer season. the lively prelude astonishing. Definitely also a fragrance for autumn. After some time, flowery and woody components, hardly noticeable far in the background, caress this fruit mixture and combine the whole to an autumn scent. The wearer of "Her" is a free-spirited and creative woman. Open-minded. Young. Enthusiastic. A woman who has fun. I don't take things that seriously. One wonders: Has the wearer of this fragrance grown up or has she secretly fogged herself up with it in her mom's reticle in a department store? Burberry Her, my girlfriend's new fragrance, is a gourmand fragrance that makes you want more the first time you spray it on. I smell a full-bodied berry mix that is not too sweet and sticky to look cheap or pubertal. Instead, the fragrance appears gentle and elegant, especially in the interplay with the floral heart note, and for me in my imagination goes through as "typically British". The durability of Her on my girlfriend's skin is phenomenal, even hours later Her is clearly perceptible, with the musk now coming to the fore. Musk can be a curse and a blessing to my senses for a perfume, because it can quickly smell "obtrusive" and "severe". Not so with Burberry Her, here it rather complements the sweet floral smell and gives it a special depth. Write the first Review for Her!